Justin Westhoff set the tone early. He recorded 13 disposals, five contested possessions and five score involvements in the first quarter, all quarterhighs, as well as booting two goals. Port has scored 37 points from turnovers in forward 50. The competition average is nine points per game. Ben Brown just grabbed his seventh mark inside 50, a careerhigh. His previous high was five against Melbourne in round 23, 2014. Chad Wingard has grabbed five marks inside 50, an equal careerhigh. Wingard has grabbed five marks inside 50 on two previous occasions. Brent Harvey is up to 21 disposals and a gamehigh 11 score involvements. North has retained possession from 95 per cent of Harvey's disposals, the highest percentage of any player. 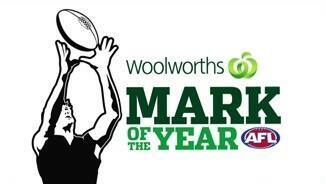 North generated a score from 69 per cent of forward 50 entries in the third quarter, 22 per cent more than its season average, but scored a goal from just 11 per cent of these entries, 15 per cent lower than its season average. North has grabbed 10 marks inside 50 this quarter, the equal most of any side in a quarter this year, but they have booted just two goals from marks. Port has booted three goals from just five inside 50s this quarter. North has won the time in forward half by nine minutes and 33 seconds this quarter and they lead the disposal count 5512 in this zone. 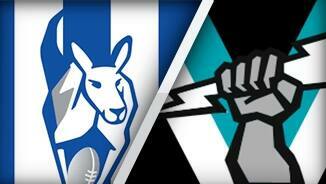 The Kangas grabbed five marks inside 50 in the first half. They have grabbed six this quarter. North leads the clearance count 42 this quarter and they have launched two scores to none from this source. North has scored four behinds from set shots this quarter. Port has booted nine goals to one from turnovers. North has recorded four disposals inside 50 this quarter and scored three behinds. Port has recorded one disposal in the same zone and booted one goal. North has recorded just five effective kicks inside 50, nine fewer than Port. Brent Harvey tried to lift his team in the second quarter. He recorded nine disposals, six handball receives and four score involvements, all quarterhighs, and North retained possession from 100 per cent of his disposals. Port continue to punish North turnovers. The Power has booted seven goals to one from this source. Chad Wingard has now contributed 15 points to the scoreboard. Wingard ranks fifth in the AFL for scoreboard impact among general forwards this season with a contribution of 287 points. Port has scored just one more point than their opponents per game from forward half turnovers this season. They have outscored North by 37 points from this source in this game. North leads the clearance count 63 this quarter and they have launched three scores to none from this source including that goal to Brent Harvey. The Kangas lead the disposal count by 24, contested possession count by 12 and the inside 50 count by three this quarter, but they have outscored the Power by just two points. Aaron Young has won an equal teamhigh three disposals this quarter as well as booting that goal. Darcy ByrneJones turns the ball over in attacking midfield and his direct opponent, Lindsay Thomas, boots North's first goal of the game. Port has won the tackle count by 10 per game this season, the best differential of any side. It won the tackle count by nine in the first quarter. Port punished North turnovers in the first quarter. The Power won 12 intercept possessions in the midfield and forward 50 and scored 32 points from them. The Kangas won 17 intercept possessions in these zones, but scored just two points from them. 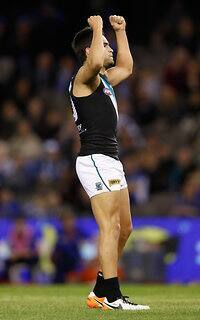 Port has now grabbed seven marks inside 50 and it has scored 4.1 (25) from marks. Port Adelaide has grabbed 10 marks inside 50 per game this season, the third fewest of any team. It has already grabbed six in this game. Twelve Port players have combined to win 13 intercept possessions, with five of these launching a score. The Kangaroos have conceded 23 points per game from forward half turnovers this season, the fourth fewest points of any side. They have already conceded 18 points from this source in this game. Port Adelaide has scored 15 points per game from chains originating in the forward 50 this season. They have already launched 18 points from this zone in this game. Chad Wingard has been busy early. He has recorded five disposals, two inside 50s and two score involvements, all gamehighs, as well as booting one goal. Michael Firrito has won three intercept possessions, two more than any other player on the field. 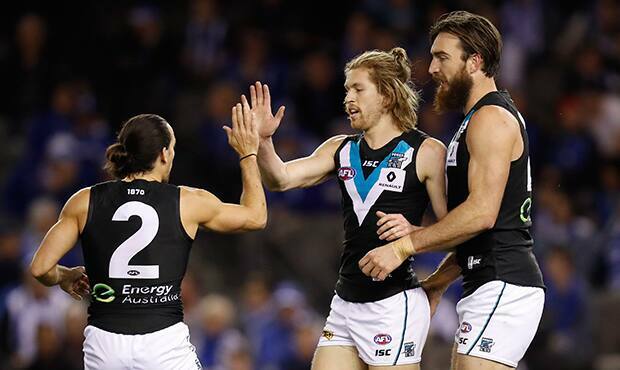 Port has won the first three clearances of the game with the third launching their second goal. The Kangaroos have conceded 36 points per game from this source this season, the fifth most in the AFL. 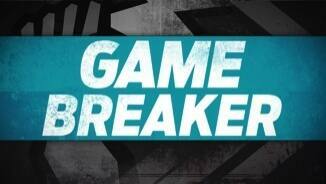 Port Adelaide boots the first goal of the game from a turnover in forward 50. It has scored eight points per game from this source this season, the fourth fewest points of any team. The Kangaroos have scored just 74 points per game since round 12, the third fewest points and more than only Essendon and Carlton. Port Adelaide has lost the clearance count by three per game this season, the third worst differential of any side, but it has outscored its opposition by four points per game from this, ranked seventh. Welcome to Etihad Stadium for the North Melbourne v Port Adelaide Round 17 clash. PORT Adelaide suddenly looks to have a genuine chance of making the finals after comfortably defeating an inaccurate North Melbourne by 28 points at Etihad Stadium to close to within two games of the top eight. And eighth-placed North is the team that looks most vulnerable to the Power's late challenge, with Saturday's loss its fifth in a row – the Roos' worst losing streak since 2009 – and its sixth from the seven matches since its club-record 9-0 start to 2016. Port jumped the Roos from the first bounce – capitalising on a free kick against North defender Michael Firrito for a deliberate rushed behind to goal within the opening minute – and set the tone for the match with a six-goal-to-nil first term. The Power led by 47 points at the eight-minute mark of the third term and, despite an improved effort from North in the second half, was never seriously challenged as it closed out an impressive 16.9 (105) to 10.17 (77) victory. Robbie Gray starred for Port with 35 possessions and two goals, while Chad Wingard (20 possessions and two goals) was brilliant when the Power took the ascendancy early in the game. Skipper Travis Boak (32 possessions and seven tackles) was prolific through the midfield, Justin Westhoff and Jay Schulz (three goals each) were dangerous in attack, while makeshift ruckman Jackson Trengove's work around the ground gave him a points win over reigning All Australian Todd Goldstein. Port coach Ken Hinkley was pleased with the way his team took the game on with frenetic ball movement. "We know that when we do it, we can play it pretty well, and today I thought there was some real growth in the way we did it and I was pleased with that," Hinkley said. "We haven't got anything unless we've got work rate … and that's how we get most of our results. And when we don't work at that rate, we get the other results that we don't like." North was its own worst enemy in front of goal on Saturday, missing far too many goals it should have kicked. The third term was the best example. Coming out after half-time with a noticeable lift in intensity, the Roos controlled general play but opened the quarter with five straight behinds before Ben Brown finally kicked truly at the 13-minute mark. In that time, Port kicked 2.0 to extend their half-time lead by one point to 40 points. By the end of the term, North only had 2.9 to show from 16 inside 50s, while Port kicked 3.0 from eight inside 50s. It meant the Roos reduced their half-time deficit by just three to 36 points. Roos coach Brad Scott said his team's inaccuracy had been disappointing but primarily blamed its slow start for the loss. 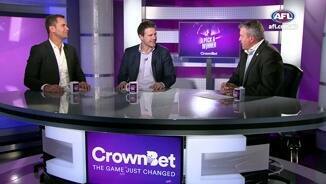 "The start was really poor. Obviously the first goal will be the point of conjecture but the second goal was just as bad in my view. The ruck gets pushed out of the way, a quick kick and it falls into their lap," Scott said. "We were under pressure from that point on, so while at quarter-time we've had basically as many inside 50s (and) kicked five points, they took their opportunities. "But more than that I thought they out-tackled us early too, which was concerning because we couldn't assert our physical dominance on the game and from then on we were working really hard to try and score quickly. "At the end of the day we got ample opportunity and we didn't convert which is really disappointing." Ageless veteran Brent Harvey (29 possessions and two goals) was the Roos' best player with his creative run through the midfield, while Jack Ziebell (23 possessions) and Andrew Swallow (24) worked hard around the stoppages. Ben Brown (three goals) was North's best target in attack and most reliable set shot, while Michael Firrito and Robbie Tarrant held up well on what was a tough evening for North's defence. North Melbourne: Drew Petrie copped an accidental knee to the thigh in a collision with Port defender Logan Austin in the third quarter, but after looking ginger for a few minutes played out the game. Lindsay Thomas came off late in the third term after a heavy knock and was assessed in the rooms for concussion but returned to the game midway through the final term. 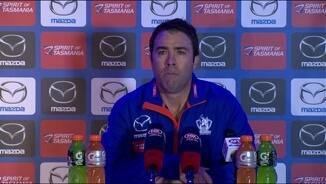 Roos coach Brad Scott said after the game both Petrie and Thomas seemed to have pulled up OK. Port Adelaide: Ollie Wines spent about five minutes off the ground during the third quarter after copping a heavy knock, but returned and played out the game. Charlie Dixon was carried off the ground after landing awkwardly in a marking contest early in the final term with an ankle injury and did not play any further part in the game. 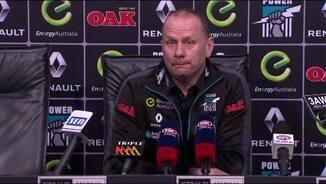 Port coach Ken Hinkley was hopeful after the game Dixon would be available next round. "It'll be a bit 50-50. I don't think it's a significant one. We know Charlie's history with ankles but this one was different to any of the others he's done. I just spoke to him about that. He's pretty bullish about the fact he'll do everything he can to be right for next week." The Roos have another six-day break before they face Collingwood at Etihad Stadium on Friday night in what now shapes as a must-win game for Brad Scott's men. Port Adelaide returns home to host Greater Western Sydney at the Adelaide Oval on Sunday, when it will be looking to avenge an 86-point loss to the Giants in round four.